Doerr releases his second book in the Clint Smith series. ""Bob Doerr has done it again. Two hundred and forty pages of intrigue, excitement, and action to keep the mind busy and the heart pounding!" --Jack Miller, Award Winning Author of The Badge and othe"
Someone is killing off the world’s rich and famous. The murders are sophisticated, requiring precision and skill, and the killers have a global reach. The international community is in an uproar but surprisingly, can develop no leads in its attempt to develop any information on the assassins. The victims are members of the Bilderberg Group, an international, loose knit group of the uber-rich who meet annually. While the attacks have not had a direct impact on the U.S., Theresa Deer, Director of the Special Section, a small unit whose existence is known by only a handful in the U.S. government, sees this new age League of Assassins as a national threat. She sends her hunters out. Clint Smith finds their trail in Switzerland where his discovery almost results in his own death. The hunt next leads him to Mallorca, Spain, where he witnesses a helicopter attack on a villa where a number of attendees from the Bilderberg conference were holding a smaller, follow-on meeting of their own. Smith picks up the trail a couple weeks later in Las Vegas, NV, and pursues his targets up to Whidbey Island, Washington. In this final stage of the hunt, Smith discovers that he is no longer the hunter. He has become the prey. Founded in 1999, TotalRecall Publications, Inc. publishes non-fiction books in a variety of fields, including computer and financial certification exam preparation and library education, with many titles adopted as college texts. These titles are also distributed to libraries, corporations and government agencies via NetLibrary, ebrary, and Books24x7.com. The company founder, Bruce Moran, is a former NASA IT professional and school computer instructor who started TotalRecall to produce exam prep guides to accompany his pioneering BeachFront Quizzer computerized practice test engine. The Quizzer CD was licensed for inclusion in the computer certification study guides produced by such publishers as Wiley and McGraw-Hill. TotalRecall is located in Friendswood, Texas, near Houston, and distributes books through Ingram Book Company, Baker Taylor, Amazon.com, Barnes and Noble, Books a Million, Powell’s, Haystings and other booksellers. For more information, call Bruce Moran at 281-992-3131 or visit www.TotalRecallPress.com. A fast moving international thriller that pits a lone government operative, known as a hunter, against an unknown group of assassins who pose a worldwide threat. Author Bio : Award winning author Bob Doerr grew up in a military family, graduated from the Air Force Academy, and had a career of his own in the Air Force. Bob specialized in criminal investigations and counterintelligence gaining significant insight to the worlds of crime, espionage, and terrorism. His work brought him into close coordination with the security agencies of many countries and filled his mind with the fascinating plots and characters found in his books today. His education credits include a Masters in International Relations from Creighton University. A full time author with twelve published books and a co-author in another, Bob was selected by the Military Writers Society of America as its Author of the Year for 2013. The Eric Hoffer Awards awarded No One Else to Kill its 2013 first runner up to the grand prize for commercial fiction. Two of his other books were finalists for the Eric Hoffer Award in earlier contests. Loose Ends Kill won the 2011 Silver medal for Fiction/mystery by the Military Writers Society of America. Another Colorado Kill received the same Silver medal in 2012 and the silver medal for general fiction at the Branson Stars and Flags national book contest in 2012. 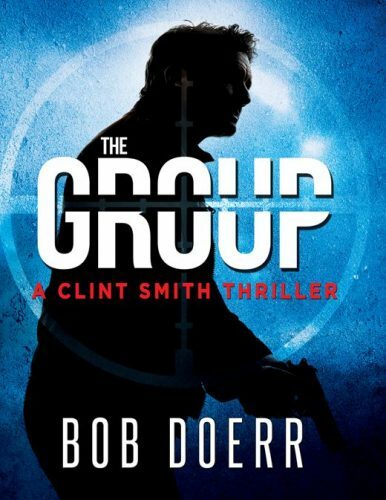 Bob released an international thriller titled The Attack in May 2014, and more recently, The Group, his second book in the Clint Smith thriller series. Bob has also written three novellas for middle grade readers in the Enchanted Coin series: The Enchanted Coin, The Rescue of Vincent, and The Magic of Vex. 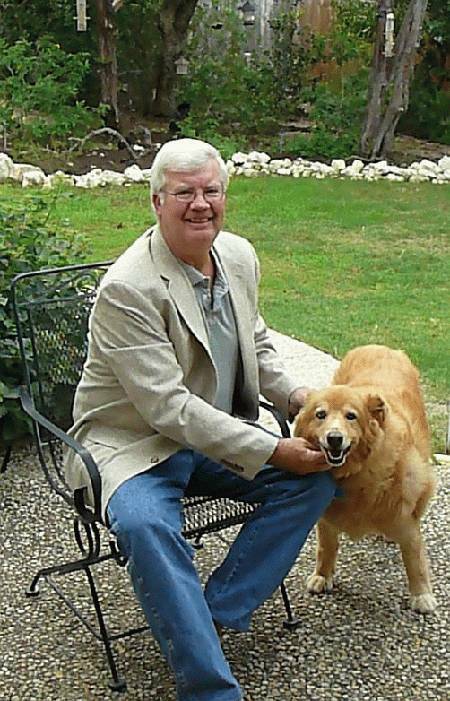 Bob lives in Garden Ridge, Texas, with Leigh, his wife of 43 years, and Cinco, their ornery cat.